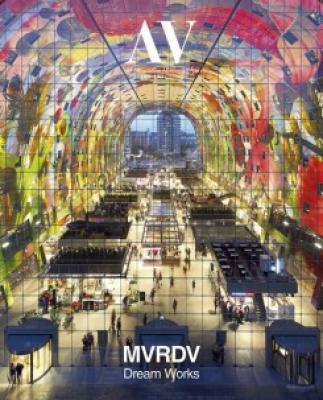 Visionary and magical, the oeuvre of MVRDV is a collection of works, projects, and publications that amaze with their abundance and diversity. Since the studio was set up in 1993, Winy Maas, Jacob van Rijs, and Nathalie de Vries have shown a dazzling creativity that has placed them in the Dutch avant-garde of 21st century. AV Monographs devotes a double issue to their career with a selection of 30 works grouped into six chapters describing the most characteristic themes in their architecture: ‘Compact Puzzles’ (density), ‘Illusory Walls’ (form and skins), ‘Colorful Worlds’ (use of color), ‘Leisure Land’ (entertainment), ‘Green Fantasies’ (ecology and sustainability), and ‘Visionary Cities’ (analysis and utopias).